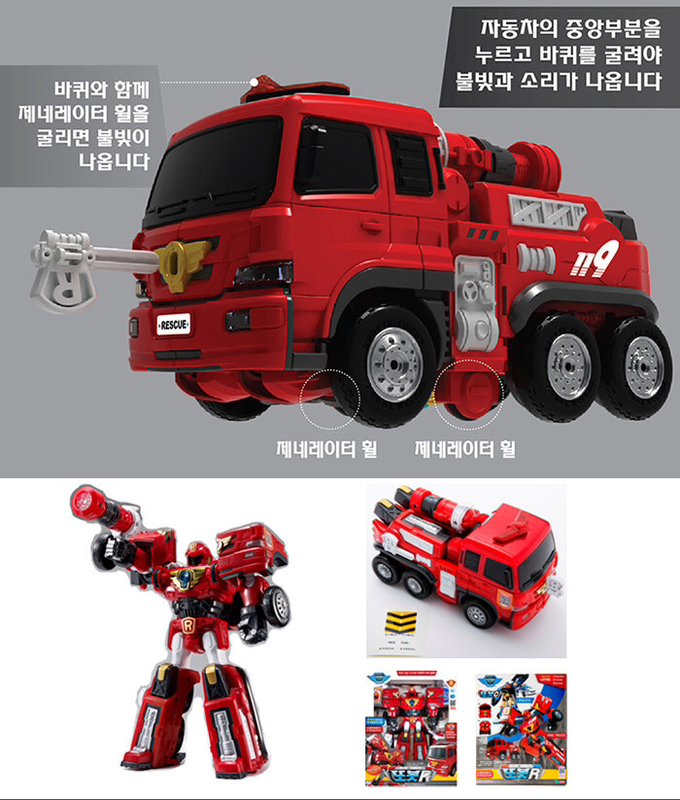 Tobot R is a Korean Transformer that changes from a fire truck into a robot. 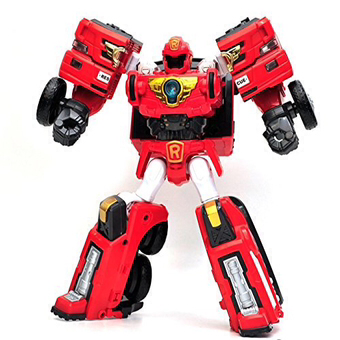 Tobot R is an unarmed rescue bot that comes with a water gun for fighting fires instead of lethal weapons like many of the action figures for older kids. 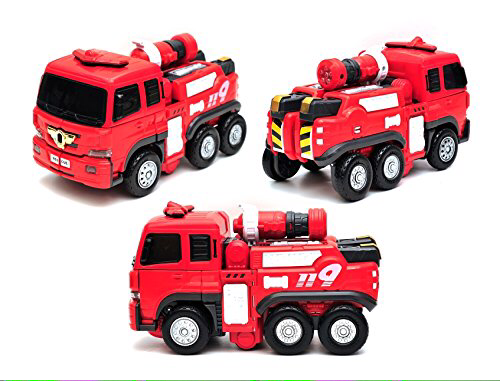 This action hero is great for children three years old and up. 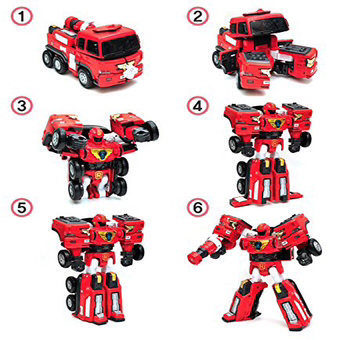 He comes with a key that inserts into the hood and has lights and sounds powered by a built-in push-wheel generator.